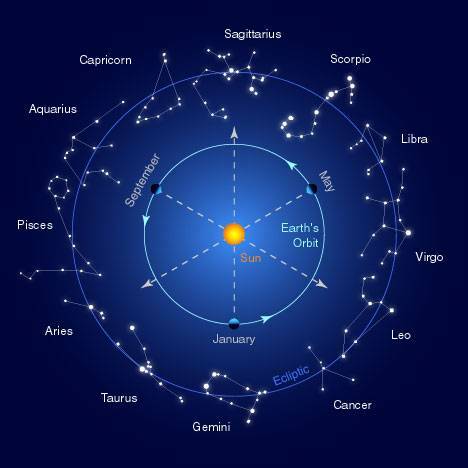 I must say that I am no fan of fortune tellers, cartomancy and prophets but I do believe that star position, place and time as well as zodiac sign (equally to temperament) can completely influence a person`s life and bring out or suppress some character traits. I visited astrologer Mara Oshuroka (Horoscope world) in summer of 2007 to create my own personal horoscope. I was not interested as much in the prognosis of that or the next year but I wanted to know generally about the state of planets at my birth, the impact of elements on the character, career, relationships and so on. As a result in 1 hour (if I remember correctly) we thoroughly discussed my individual astrological map (see example below), and to create it the astrologer needs to know the name, place, date, day and the particular time of birth. Later at my request this map was sent to my e-mail. During our conversation the astrologer allowed to take notes, so that when I left the office, I was holding 6 bescribbled A4 pages. That was a good job because now when time has passed I can glance through and assess everything through a prism of four years. I liked the fact that I received much more than from a wide variety of horoscope books, where only one basic zodiac sign is usually described. For example, if you were born at the beginning of April,you are a typical Aries and everything is subordinated to it. The personal horoscope considers the general impact of planets, because one sign can correspond to the appearance of a person, another sign - to the emotional and inner world, another one - to the character and a completely different one - to their sexuality. Basically (I will tell a bit about myself), my appearance, image and how I present myself to people around me is Gemini which is why you will rarely see me rioting, screaming or loudly slamming the door. Discussing zodiac signs, people have even told me that I am a pseudo Aries. Of course, Gemini never show their true nature publicly - always open for communication and friendly; only very close people get bruises from the internal Aries when throwing a tantrum. The emotional side - Sagittarius, optimism and joy together with drastic mood swings. The determination and stubbornness of both Sagittarius and Aries help me a lot in my life but also bring a lot of inconvenience - "I want it like this and not otherwise." And if I don`t like somebody it will be felt in the air vibrations and, hmm, also if I like somebody very much. Character and sexuality - Aries, fire signs dominate - what can you do about it. I totally agree that a person can cot be characterised through only one sign. Therefore, I don`t take seriously the daily newspaper horoscopes but just as entertainment. The personal horoscope allows analysing oneself and the behaviour which can always be useful. You can look at the relationships within the family, at work and among friends and acquaintances. It is very useful if you know the zodiac sign of every important person around you. People who are too susceptible must consider if you really want to know what you want to know. If an astrologer tells you that you were born during some special eclipse (even if it is so) and it does not allow you to develop, move forward and succeed in business, it does not mean that you have to change everything radically or, even worse, give up everything you`ve started. Maybe there is a lucky star for you in the galaxy that lit up at your birth and will help you fulfil your mission in life? An astrologer is also just human with more or less developed psychological abilities, who will tell a lot about you just by seeing you. Before visiting an astrologer I suggest formulating to yourself what exactly you want to know. Thus the conversation will be more meaningful. Stop being sceptical and bias but also analyse everything you hear through your own experience and criticism!